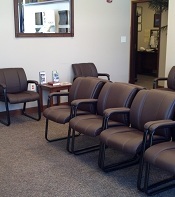 Here are some pictures of our office located at 1601 Allentown Rd. 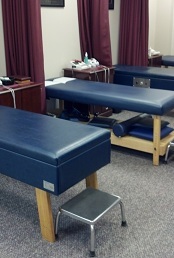 We have two massage therapy rooms, and a large therapy bay. 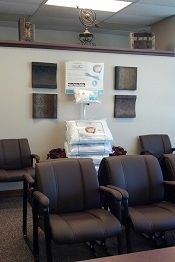 We also have a Decompression Therapy area. Dr. Stemen has set up an Information/Consultation desk where he can show you a state-of-the-art 3D design of the spine and compare your condition. We also have an on-site X-ray facility so he will compare your X-rays to a healthy spine X-ray. 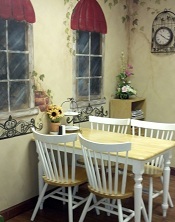 How do you like our "Cafe" break room? Stop by and see our office.